Kent really does have everything – it’s no wonder the conquerors wanted to settle here. With its historic towns like Canterbury, Sandwich and Royal Tunbridge Wells, wild coastline and flourishing countryside, the Garden of England is a truly magnificent spectacle all year round. It's also the gateway to France and Europe with the ferry from Dover and channel tunnel at Folkestone. Our selection of the best places to stay in Kent is a list of ideal properties to book whichever season you choose. We have something for everyone from boutique B&Bs to pubs with rooms to country house hotels. 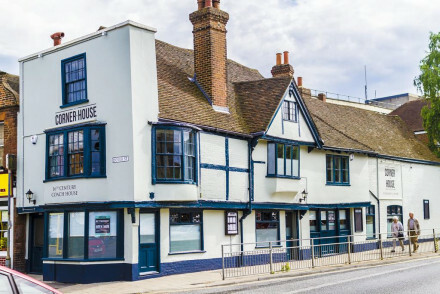 Well known for the Shepherd Neame brewery in Faversham, Kent has plenty of quality pubs with their historic charm preserved and award-winning ales to keep any enthusiast happy. For wine drinkers, the low Weald is the place to be with the superb Chapel Down and Biddenden vineyards on the doorstep. There’s also plenty on offer in terms of outdoor pursuits, from a leisurely ramble around the numerous areas of outstanding natural beauty, wildlife reserves and heritage properties, such as Sissinghurst and Hever Castle, to more energetic activities like cycling the Viking coastal trail, kite surfing in Margate or playing 18 holes on one of the country’s best golf courses – Royal St George’s Golf Club in Sandwich. It’s not just the Vikings who took a liking to Kent; the county has been the backdrop for many great literary masterpieces such as Dickens’ David Copperfield and Chaucer’s Canterbury Tales, as wells as inspiration for artists such as Tracey Emin and JMW Turner – now celebrated in the Turner Contemporary gallery in Margate. Canterbury Cathedral is an absolute must visit! Forming part of a World Heritage Site, it's the Cathedral of the leader of the Church of England (the Archbishop of Canterbury) and is littered with tombs of historical figures. You'll love the wonderful architecture and grandiose feel of the place! Head over to Dover Castle, built in the 11th century and named the "Key to England" due to its strategic importance. England's largest castle, it's home to a military museum, medieval underground works and various war-time tunnels. The iconic White Cliffs of Dover are some of England's best known geographic features. Spend the day wandering along the coastline and enjoy a picnic on the beach at this picturesque spot. Visit Chartwell House, a National Trust Site and the long time home of Sir Winston Churchill. Enjoy a tour of the house, which is crammed with photos, documents and mementoes of one of Britain's modern heroes. Howletts Wild Animal Park is a great family day out. This 90 acre property is home to gorillas, tigers and monkeys as well as England's largest collection of African Elephants. Whether it’s looking over the rolling Weald countryside, peppered with orchards and oast houses, or taking in the sea air at Whitstable, strolling its unspoilt high street lined with independent shops and tucking into world-famous oysters, this county will not disappoint! And neither will our pick of the best places to stay in Kent. 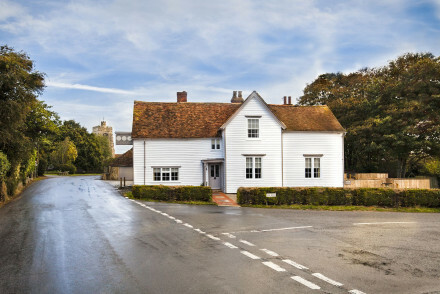 The lesser known towns and villages offer some of the best places to stay in Kent, most set amid the stunning countryside of this corner of the South East. You need look no further than Thurnham Keep for one of the best examples. It's a grand Edwardian country house B&B set amid seven acres and enjoys stunning views over the Weald. The Linen Shed is a pretty B&B with a mix of New England and French décor. With comfortable rooms, a charming garden and lovely breakfasts, it's a splendid rural retreat. 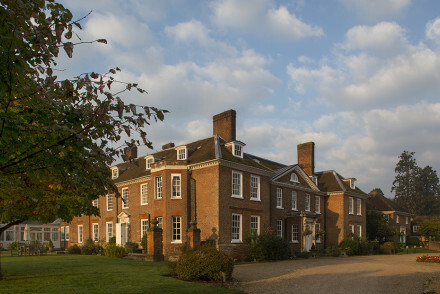 Chilston Park, set amid twenty two acres of countryside, is traditionally furnished with plenty of antique pieces. Culpeper's Restaurant (located in the old dining hall), serves 2AA Rosette food. A superb country escape. 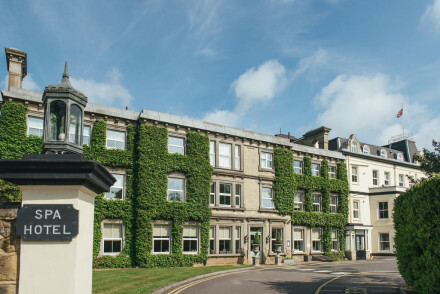 Brandshatch Place Hotel & Spa is a Georgian manor house turned country hotel. Set amongst 12 acres and offering a spa, health club and 2AA Rosette fine dining, it's a splendid 4* spot. 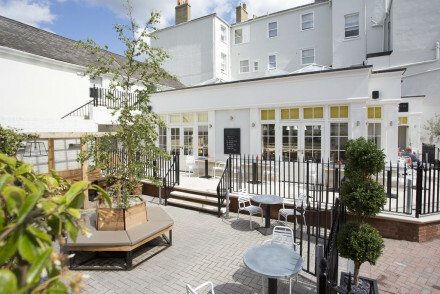 Located in the characterful Royal Tunbridge Wells, One Warwick Park offers smart and unfussy accommodation, wonderful cuisine served up at their L'Amore restaurant and cocktails available in the lounge bar. The old-fashioned grandeur of Reads Restaurant with Rooms, where you can expect fabulous food, plus large elegant, bedrooms. The Marquis at Alkham is another good option. 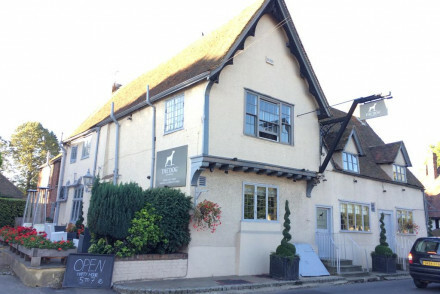 This former village pub is now a chic restaurant with rooms a stone's throw from Dover. A great spot to spend the night before heading across the Channel. 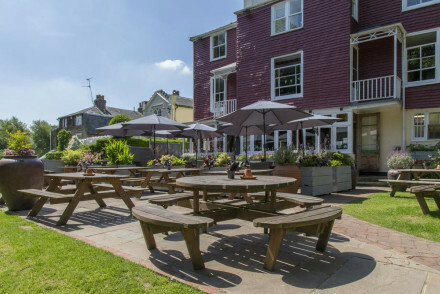 The Salutation, a smart grown up retreat in the heart of historic Sandwich with famous Jekyll designed gardens, is just a stone's throw away from The Royal St George's Golf Club. The Bell, another option in Sandwich overlooking the river, is also located within easy access of the golf course as well as Sandwich & Pegwell Bay National Nature Reserve. 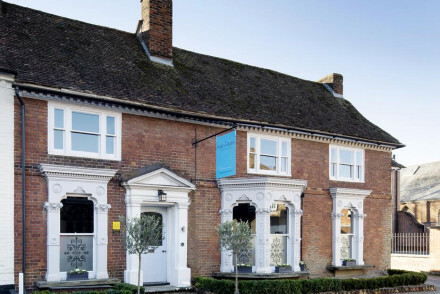 For cultural activities our pick of the best places to stay in Kent is ABode Canterbury - where ancient wooden beams meet contemporary design, just yards from the Cathedral. The Arthouse is another splendid option for getting to know historic Canterbury. 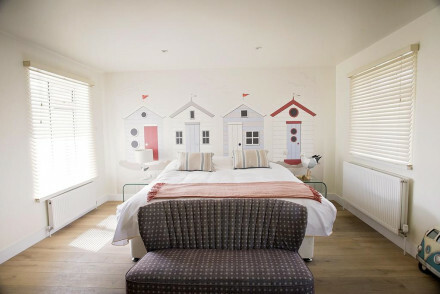 A retro styled B&B featuring pieces of modern artwork on the walls, it's also just 5 minutes from the centre of town. 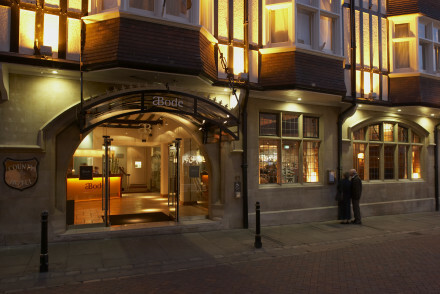 For exploring Royal Tunbridge Wells and the nearby sights, Hotel Du Vin & Bistro is a great choice. Stylish, modern accommodation as well as a restaurant. 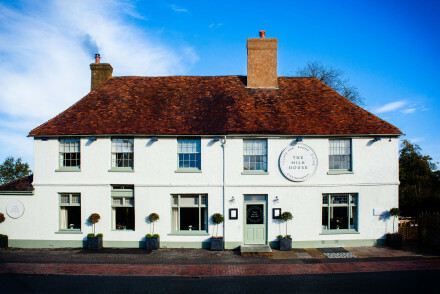 When looking for somewhere to rest your head the possibilities are endless, but it’s the quaint B&Bs that shine through as some of the best places to stay in Kent. 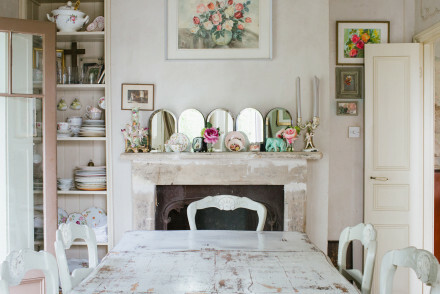 There’s a style to suit everyone, whether it’s shabby-chic vintage or cutting edge contemporary. 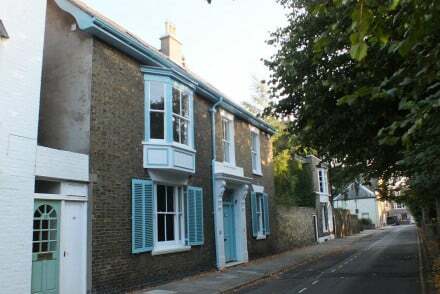 7 Longport is a lovely one room B&B in the centre of Canterbury, a stone's throw from the cathedral. Think classy interiors and splendid breakfasts. 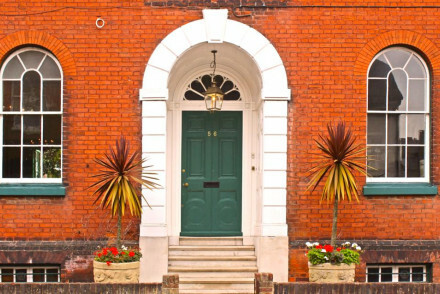 The Arthouse in Canterbury started life as a fire station and now operates as a retro style B&B, full of art and fun. 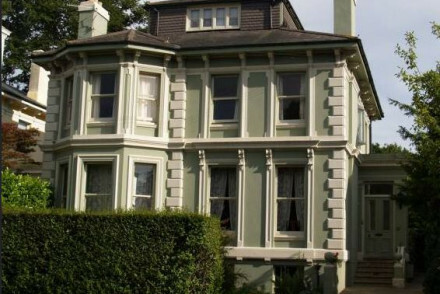 The Victorian B&B in Tunbridge Wells is an experience! The owner is a former royal butler and is obsessed with all things Victorian and there are interiors to match. Botany Bay enjoys a superb location overlooking the sandy beach at Broadstairs. With tastefully decorated rooms featuring muted tones and pine furniture, there's also a superb seafood restaurant specialising in local produce. 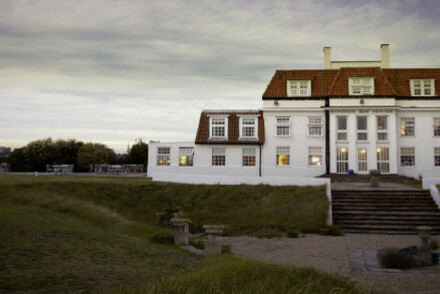 Romney Bay House is a ten bedroom 1920s mansion perched on an unspoilt stretch of coastline. There's traditional accommodation, wonderful views of the Channel and a library in which to curl up with a good book. 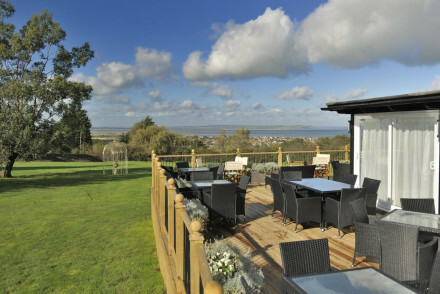 The White Cliffs Hotel is a charming spot with modern, stylish accommodation featuring four poster beds. Wonderful views of the French coastline and a lovely beach garden. The recently renovated Albion House boasts spacious contemporary accommodation and an exquisite restaurant. Cosy in by the log fire and enjoy a cuppa after a day spent walking along the coast. What better way to explore the region than from your own home from home? For a full range of holiday cottages and apartments, visit our online partner, Booking.com. It's best to visit Kent in July or August, when the average daily temperature reaches a pleasant 21°C and the days are at their longest. Autumn is also a great time to visit the region as bustling spots like Canterbury are far less busy with tourists. International visitors should fly into Gatwick Airport. Whilst not in Kent itself, there are trains serving the region (setting off from Tonbridge and now including a change at Redhill). 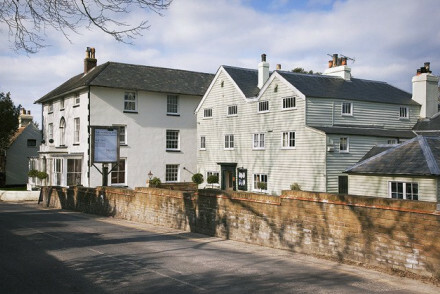 Still Not Sure of the best place to stay in Kent for you? Expand your search to explore the neighbouring counties of Suffolk and Essex. Try instead to find somewhere in West Sussex or East Sussex. or you could refine your search to just Kent's Most Romantic Hotels? or the The Best Hotels with Hot Tubs in Kent? Or just the best places to stay in Royal Tunbridge Wells or the best places to stay in Canterbury? Alternatively, you could contact one of our friendly gurus for advice. 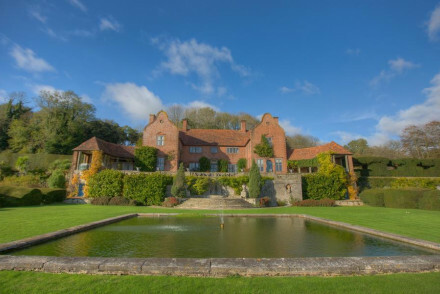 Ten bedroomed 1920s mansion perched on a totally unspoilt stretch of coastline, with superb views of the English Channel. This seafront hotel offers traditionally decorated rooms, a restaurant, bar, library with games and a first floor lounge with telescope. Perfect for a quiet getaway. Golf - Littlestone Golf Club, an 18 hole Championship Links Course next door. 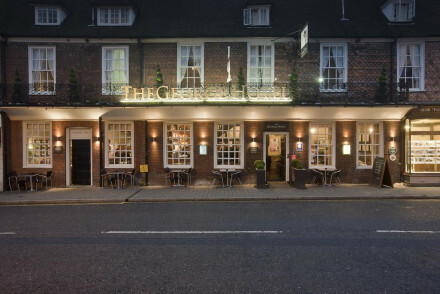 Set in a 14th century building, The George is located in the quiet rural town of Cranbrook. Their 12 individually designed rooms are either classically traditional in style or contemporary chic. Scrummy, quintessentially British meals served up in the restaurant. A splendid couples getaway! 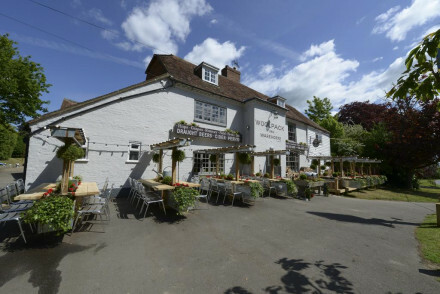 Newly renovated restaurant with rooms in the Alkham Valley. Modern, chic bedrooms. Separate cottages to rent. Former royal butler and Aussie Harold Brown’s devotion to Victoriana and service below stairs make this captivating Victoriana themed B&B in the centre of Royal Tunbridge Wells. An experience, with great stories from Harold included. This stylishly renovated 14th Century inn, located in the idyllic town of Egerton, offers three chic rooms. The bustling pub, popular with locals, gives off a lively atmosphere. The restaurant boasts an impressive menu and delicious food. A perfect, charming base for local walks and exploration. Comfortable, modern seaside hotel, overlooking the sandy beach at Broadstairs. Tastefully decorated rooms, in neutral tones with plaid throws and pine furniture, many with sea views. Restaurant serves delicious locally sourced seafood specials and fine ales, and has spectacular views. Value chic - Standard doubles start from just £80 B&B. A delight of a British pub set in the pretty village of Sissinghurst. Clean and contemporary, the rooms are all white on white with simple furniture and indulgent modern bathrooms. A fantastic bistro pub is ever popular with the locals. The ideal spot to explore this lovely part of Kent. Local exploring - The perfect place to stay in order to visit Sissinghurst, Bodiam Castle and the Kent Weald. 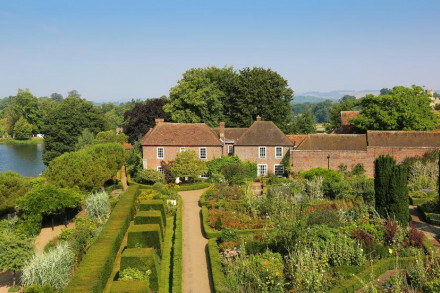 Great walks - Stroll through the gardens at Sissinghurst Castle designed by Vita Sackville-West. Sights nearby - Take a tour of the impressive Sissington Castle. 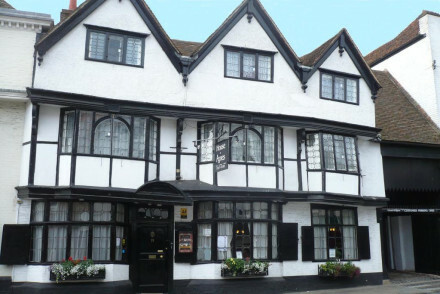 Full of character and charm, The White Lion is a delightful hotel in the town of Tenterden. 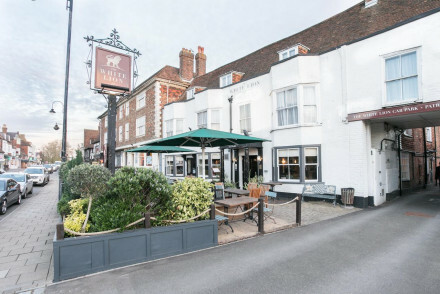 Boasting lovely rooms, an atmospheric pub and a gourmet restaurant, it's a great base for exploring the beautiful Kent attractions and surrounds. Local exploring - Right on the edge of the High Weald, it's a great launchpad for exploring the surrounding Kent countryside. Great walks - The nearby High Weald is full of beautiful walking routes. Sights nearby - Visit amazing castles at nearby Bodiam and Camber. 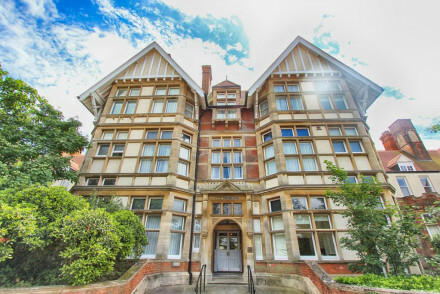 One Warwick Park is located in the peaceful Royal Tunbridge Wells. 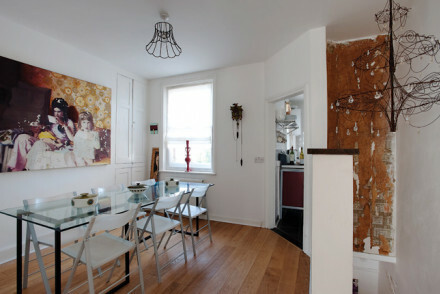 This property offers smart, contemporary and unfussy accommodation with each room featuring a flat-screen TV. Their L'Amore restaurant serves up truly marvellous dishes! Enjoy a cocktail in the lounge bar. A great stay in a top spot! 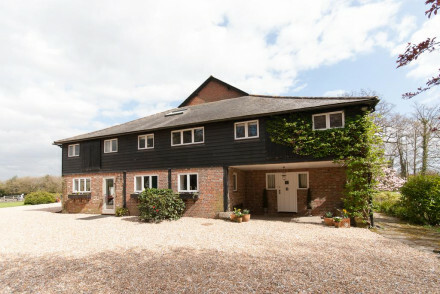 Short fly break - Located just 20 miles away from Gatwick Airport! A townhouse hotel bringing some urban style to this burgeoning town. Bright airy rooms feature enormous windows - the best offering sea views - sink into beds and gloriously indulgent bathrooms. A retro themed restaurant offers up modern British classics with relaxed friendly service. 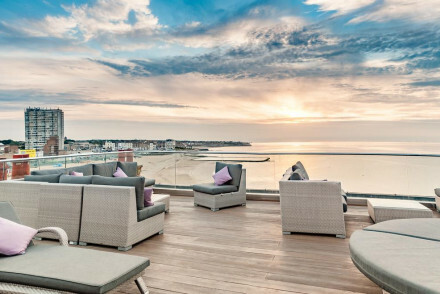 Local exploring - A chic hotel in the up and coming town of Margate. Ideally located to access many of the areas attractions. Great walks - Take scenic walks along the Viking Coastal Trail. A chic village inn offering just the right amount of contemporary style without forgetting the traditional charm. Four rooms are uniformly dressed with white-washed walls, sash windows and bursts of colour coming from the soft furnishings. A lively bar and restaurant are popular with locals too. Country Escape - A chic country inn offering superb food, a relaxed environment and beautiful countryside to explore. Sights nearby - Spend a day in nearby Canterbury and visit the impressive cathedral. Great walks - Explore the North Downs, an area of outstanding natural beauty. 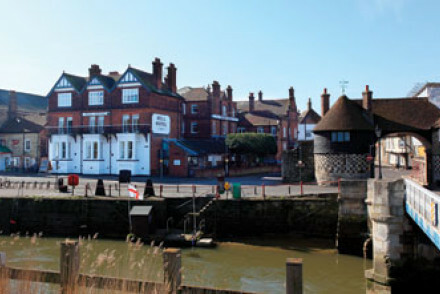 An elegant coastal hotel situated in Kent's historic town of Deal. Expect a well-crafted mix of traditional and contemporary styles throughout. A chic restaurant serves up locally inspired dishes and you'll find activity abound in the local area. Ideal for a weekend break. Romantic Break - A luxurious coastal property within easy access of London. Ideal for a romantic weekend away. Fishing - Try your hand at angling from the picturesque Deal Pier. Sights nearby - Visit Deal Castle built during the reign of Henry VIII. 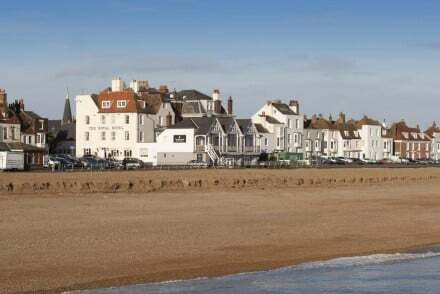 The Yarrow is located in the coastal town of Broadstairs. Set in a 19th-century Jacobethan-style building, it offers smart contemporary accommodation, restaurant and spa just a stone's throw from the beach. Staff are all hospitality students - making for a charming feel. Sights nearby - Go visit Deal Castle or the White Cliffs of Dover, both just a short drive away from The Yarrow. Great walks - Spend your days wandering along the coast, or head into historic Canterbury for the day. 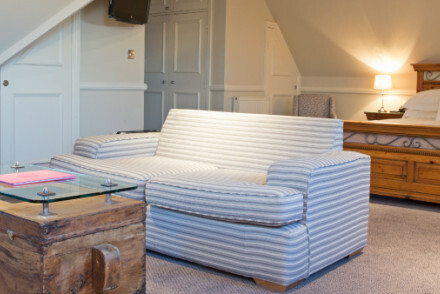 A charming B&B comprising of seventeen rooms set in the old stables of Leeds Castle. Individually styled rooms are traditional yet unfussy with light hues, antiques and black and white photography. Castle View Restaurant is just a two minute walk away and offers good British fare. Country Escape - A quaint B&B set in the beautiful grounds of Leeds Castle. Great walks - Take a walk through the manicured gardens. Sailing - Go punting on the castle moat. Just a short distance from some of Kent's most famous coastal beach towns, Crescent Turner benefits from a peaceful location overlooking the sea. Delightful rooms with pretty fabrics, delicious food in the restaurant and stunning views all combine to create an excellent hotel. Local exploring - A great base for exploring the north coast of Kent. Sights nearby - Take a trip to Canterbury and visit the magnificent cathedral and castle. Great walks - The surrounding coastline is full of beautiful walking routes. Georgian manor house turned country house hotel set amid twelve acres with excellent facilities including spa, health club, creche and much more. 2 AA Rosette standard fine dining. Easy access to the channel tunnel and Kent sights. The unassuming facade to this restaurant with rooms does not do justice to the interior. Beautifully renovated rooms keep the charm of the original building with exposed beams and vaulted ceilings however the walls are pristinely white washed and well chosen contemporary art adorns the walls. Foodies - The superb Spanish restaurant and tapas bar are the main reason to come to this establishment. Great walks - Discover the miles of walking trails in the picturesque Kent Downs. 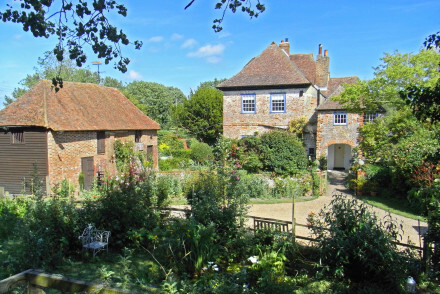 Sights nearby - Take a tour of Godington House and Gardens. Family-run Mount Edgcumbe is a quirky, refurbished Grade II listed historical building. Rooms are uniquely designed with antique furnishings and Georgian country house charm. Communal spaces for dining and relaxing with open log fires, plush sofas. The restaurant offers hearty fare. A historic Inn comprising a fantastic restaurant and eight rooms. Traditionally dressed throughout - expect exposed beams, antique furniture and plenty of charm. An experienced team produce monthly changing menus using seasonal produce. A delightful spot from where to explore the region. Local exploring - Well positioned between Sandwich and Canterbury, ideal for exploring the region. Sights nearby - Head to the historic city of Canterbury to view the abbey and cathedral. Great walks - Discover the beautiful Kent countryside on long walks. Fishing - Spend the day fishing on the River Delf. 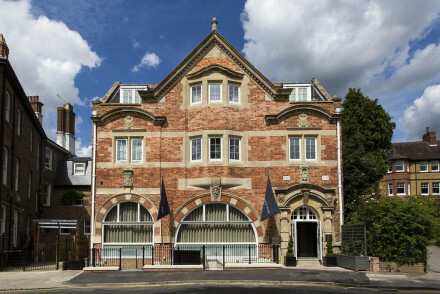 A chic hilltop hotel overlooking the spa town of Royal Tunbridge Wells. Beautifully renovated throughout, rooms are spacious and light with minimalist design and the best feature in-room copper baths. A fantastic Brasserie and elegant bar occupy the downstairs floors. A fabulous stay. Local exploring - Ideally located to access the spa town and surrounding countryside. Sights nearby - Visit the former home of King Henry VIII, Penshurst Place. Beautiful sandstone mansion overlooking Calverley Park. Stylish contemporary bedrooms and suites typical of the Du Vin brand. 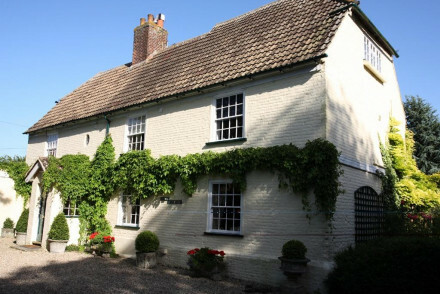 A charming 17th Century Farmhouse is the setting for this lovely B&B. Boasting three individually decorated rooms with tasteful furnishings and ensuites, Solley Farm House is a great base for people looking to explore the Kentish coast. Sights nearby - Less than ten miles from the White Cliffs of Dover. A chic bed and breakfast with direct access to the sea. White washed rooms are light and airy with parquet floors, contemporary furniture and glorious sea views. Indulgent breakfasts are served up on the terrace (weather depending). A charming hideaway. Total relaxation - A tranquil hideaway just steps from the ocean. Great walks - Take long walks in the scenic Brockhill Country Park. 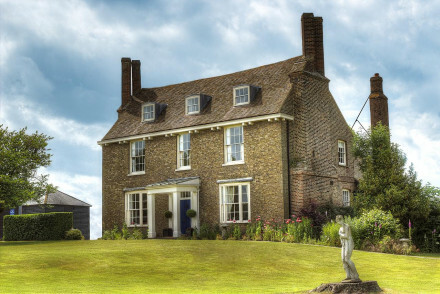 Goss Hall is a charming B&B in the peaceful setting of rural Kent. The spacious rooms are comfortable and tastefully decorated with smart furnishings and well selected art work. A great base for golfers taking on Royal St. George's. Sights nearby - Go on a Kent Castles tour visiting Sandown, Deal and Walmer Castles. 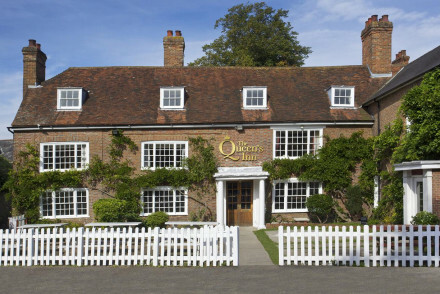 Nestled in the High Weald on the border of Kent and Sussex, The Queens Inn is a charming countryside hotel. Offering elegant, comfortable rooms and a superb restaurant, it's perfect for a relaxing weekend away. Food is a real highlight with a particular focus on fresh, local produce. Local exploring - A great base for exploring Kent and the High Weald. Great walks - The surrounding High Weald is full of stunning walking routes. Sights nearby - Visit the glorious nearby Odiam Castle. Just around the corner from the Deal Maritime Museum, Bear's Well B&B is a charming guesthouse. Featuring comfy rooms and a private tennis court, Bear's Well is a great launchpad for exploring Deal and the beautiful surrounding Kentish coast. Great walks - Go walking at the nearby White Cliffs of Dover. Sights nearby - Ten minutes walk from Deal Castle. Classic country house hotel set amid twenty two acres of Kent countryside. Traditionally furnished with many period antique pieces. Ideal location for a country weekend getaway. 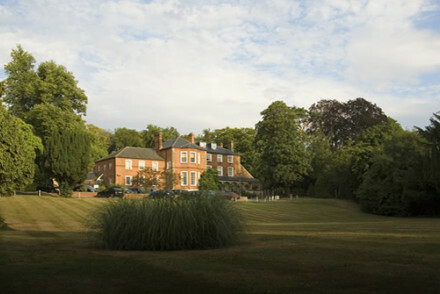 Popular venue for weddings and business events. Set in a lovely 13th century property, Molland Manor House is a charming B&B in rural Kent. Featuring some original architectural components, the B&B offers delightful rooms and excellent breakfasts. Sights nearby - Nearby sights of historic interest include Sandown Castle and Deal Castle. Local markets - Browse the local market at Sandwich. Beautiful hotel overlooking the river. Large elegant rooms, club dining room, bar. Nearby surrounding golf courses. A beautiful country house on the outskirts of Royal Tunbridge Wells set in 14 acres of picturesque countryside. Rooms are individually styled and elegant. Both the fine-dining restaurant and more laid-backed brasserie offer up exemplary regional cuisine. The spa is the icing on the cake. Total relaxation - A country house set in 14 acres complete with excellent restaurant and a spa. Great walks - Discover the surrounding countryside on picturesque walking trails. Sights nearby - Visit either (or both) of the stunning Leeds and Hever Castles. 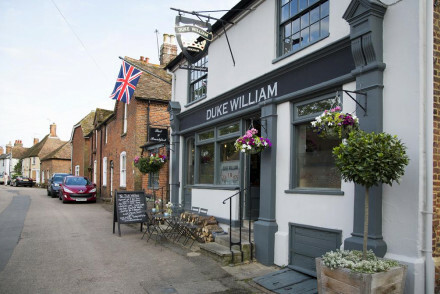 A traditional pub in a quaint Kent village. Boutique style rooms have soft grey hues, contemporary art, delicate cast iron beds and smart bathrooms. The restaurant is fantastic, serving the usual pub fare but with the added flare of renowned chef Mark Sargeant. A cosy spot for a rural escape. Foodies - Chef Mark Sargeant has put his expert touch in this excellent pub food. Sights nearby - Head into Canterbury and visit the World Heritage Site, Canterbury Cathedral. Great walks - Walk along picturesque walking trails running straight from the village. 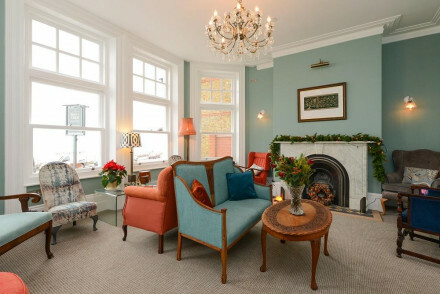 Smart seaside hotel in a Victorian mansion house, with period features including fireplaces, sash windows and tiles. Decorated in vibrant colors from mustard and terracotta to soft blues and greys, while pretty bedrooms are neat and understated. Tasty food is served in the lovely seaview restaurant. 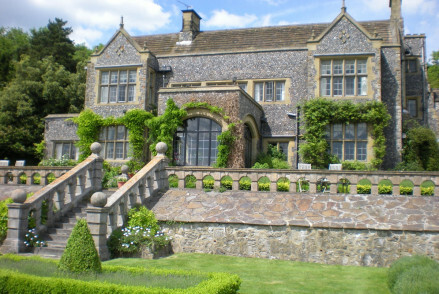 Grand Edwardian country house b&b, with beautiful interiors, gardens and views over the Weald. A great rural escape, especially in summer, with pool, tennis, croquet. 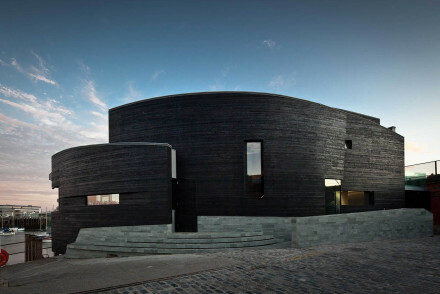 Standing proudly on the harbour side a curved black beauty of a building houses the fantastic seafood Rocksalt restaurant. Nearby (also harbour side) are four charming rooms with white washed exposed stone, beamed ceilings and crisp white linen. Ideal for weekend coastal breaks. Foodies - Fabulous seafood, impressive architecture and wonderful seaviews make this a restaurant worthy of a visit. Sights nearby - View the Folkestone White Horse created with limestone slabs against a hillside. A country pub in a picture perfect village with quirky design. The five rooms all slightly differ in shape and size but the walls are white washed, the bath tubs free standing and they're filled with interesting and well placed artefacts. The restaurant is fabulous and serves hearty seasonal fare. 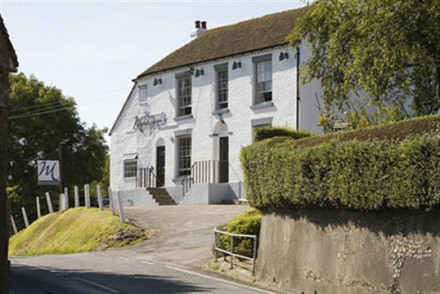 Country Escape - A classic British pub, with a touch of luxury, in a pretty rural village. Sights nearby - Take a tour of the imposing Godington House and Gardens. Charming hotel at the feet of the White Cliffs of Dover. 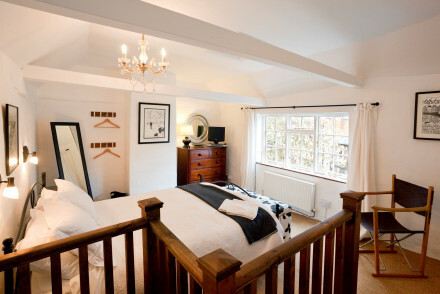 Rooms are modern and stylish, some with rustic touches - wooden beams and four poster beds. Family friendly, with beautiful views of the French coastline. Guests can relax in the beach garden and enjoy breakfast on the terrace in summer. Former oast house now a top-class boutique B&B in rural Kent with two pretty ensuite garden-view rooms. Guests enjoy a locally sourced breakfast. Located in an area of outstanding natural beauty with many walks, cycle routes and golfing opportunities. It is an ideal location for an active holiday. Country Escape - Located in the High Weald, an area of outstanding natural beauty. Sights nearby - There is lots to see in the area such as Bodiam Castle, Great Dixter and Battle Abbey. 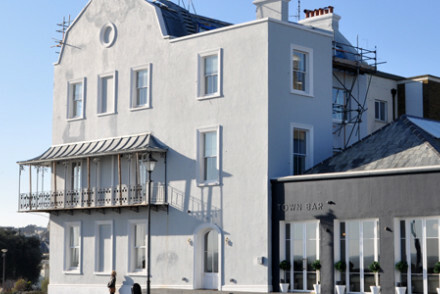 Originally a hotel in one of Britain's best loved sea resorts and now restored back to its former glory. Featuring a chic rooftop terrace, elegant and spacious rooms plus a fabulous regional restaurant. 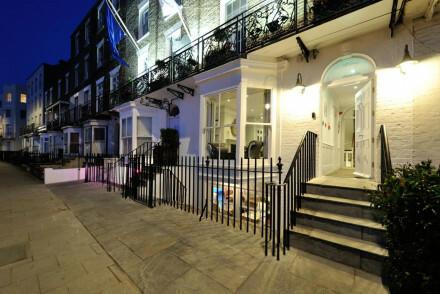 The staff are ever-friendly and the proximity to London makes this an ideal weekend escape. Local exploring - For a quintessentially British seaside experience. Great walks - Take the four-mile Turner and Dickens Walk to Broadstairs. 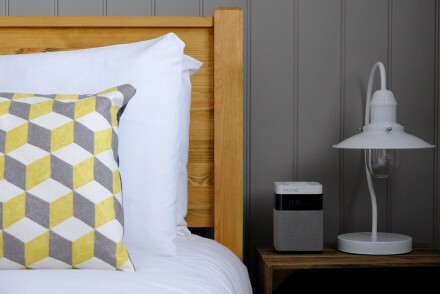 A fabulously chic B&B offering just three impeccably styled rooms. Mixing contemporary and traditional styles; expect bold warm hues, free-standing baths, open fireplaces and crisp white linen. Indulgent breakfasts are served and help is always on hand to offer knowledge of the local area. Local exploring - Ideally positioned to explore the region with shops, markets, restaurants and Canterbury all nearby. Local markets - Visit the Whitstable Farmers Market running the 2nd and 4th Saturdays of the month. Great walks - Take long walks along the coast or through the nearby nature reserves. Sights nearby - Visit Canterbury Cathedral founded in 597, now a world heritage site. 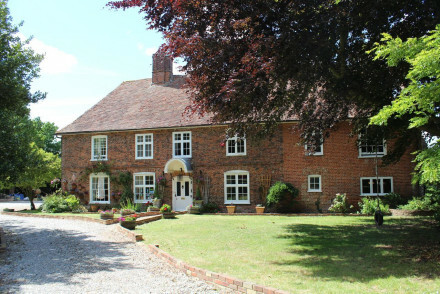 A handsome red brick house set in beautiful, flower-filled gardens on a quiet country lane. Two beautifully renovated rooms feature simple wooden beds, parquet flooring, white washed walls, artworks and claw-foot baths. The hosts are fabulous, breakfasts indulgent and the walks are delightful. Country Escape - A charming country house complete with flower filled gardens and access to great walks. Sights nearby - Visit the world famous cathedral and medieval abbeys of Canterbury. Great walks - Find beautiful walking trails starting directly from the property. 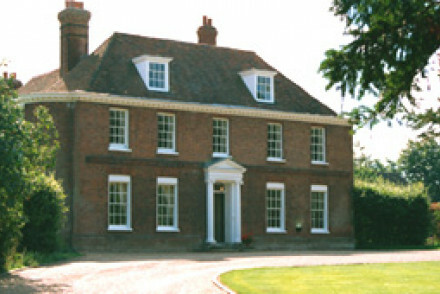 Impressive Lutyens mansion in town centre with rooms/cottages for guests in the wonderful garden. Private and secluded stay, ideal for groups of friends or grown-up families. Restrictions on children - No children under 16. A gracious and calming restaurant with rooms in a Georgian manor, run with commitment. 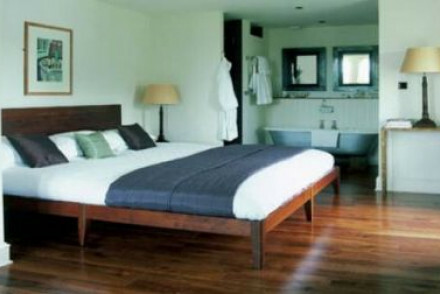 Excellent restaurant, large elegant bedrooms with Savoir beds, surrounded by tranquil gardens. Sights nearby - Close to Canterbury. Following a very recent renovation, original features of this magnificent building have now been combined with modern luxuries. Bedrooms are elegantly decorated and spacious. A magnificent bar with sea views and an exquisite restaurant menu. Log fires and afternoon teas. Seaside elegance. Other Activities - The Summer Squall - a summer arts festival. 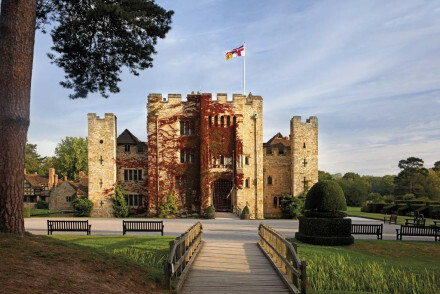 A luxurious B&B situated in the grounds of the impressive Hever Castle, former home of a number of royals. Individually designed rooms are traditional in style with chintz fabrics, fireplaces and antique furniture. The best have free standing baths. The ideal choice for a weekend getaway. Country Escape - Stay within the grounds of an imposing British Castle. The very finest of country escape. 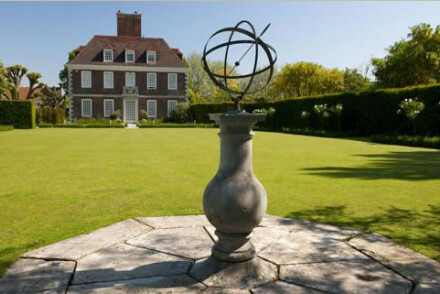 Sights nearby - Take a tour of Hester Castle the childhood home of Anne Boleyn. Great walks - Stroll through the castle's beautifully manicured gardens. A small luxurious hotel set within the Port Lympne reserve, home to 700 rare and endangered animals. Traditionally styled throughout - expect dark wood antique furniture, four poster beds, sash windows and roaring fire places. The perfect spot for a family weekend getaway. Country Escape - Home to over 700 rare and endangered animals this is a country house with a difference. Great walks - Take blustery walks along the Kent coastline.